A classic is born not through the extensive CGI effects but the acting & the script beautifully enacted by the cast..It becomes even more vital when the movie is an adaptation of Gross Selling Novel of the same name...Only a few Book series have been successfully converted into franchises which have hooked the Audiences...The Hunger Games Franchise is same!! I was lucky enough to be invited by @SonyPIX after winning their Pix Premier Nights Contest hosted on their Facebook page https://www.facebook.com/SonyPIX/. And what a pleasant surprise i had company of few close friends who had won with me!! And even more of a surprise was i was watching it before rest of India..Special Premier of the Movie!! I was Amazed by the Red Carpet..The Ambience & Fun of it all....We were having Gala Time..!! Having read the book series & seeing The Hunger Games: Catching fire courtesy Sony Pix i was super charged up..This movie with its stellar cast was really keeping me excited all day!! The Article below has few spoilers*. If we burn...You burn with us!! Knowing Katniss as she is being emotional she is reluctant but a deal is struck for safe return of captured Hunger Games Participants. 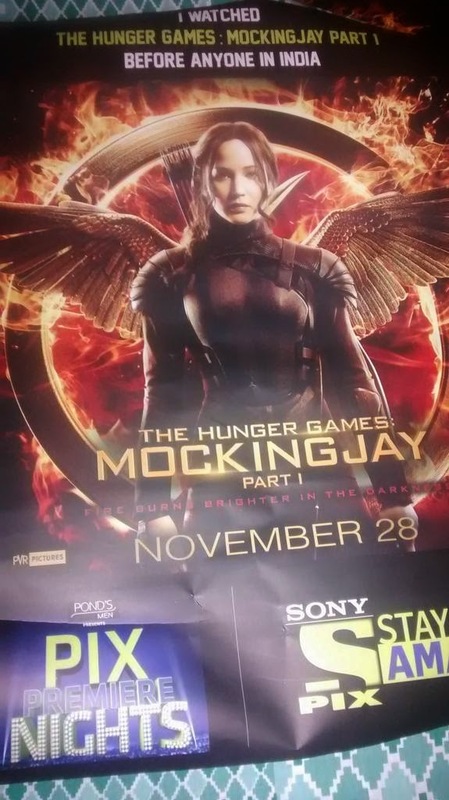 Katniss struggles to balance her emotions & memories with current scenarios & politics played by both sides. Although the last book like similar franchises is broken into 2 movies albiet for commercial purposes has resulted in a slow movie. Among the few action scenes Katniss only gets one..but she leaves her mark in it..Literally!! The Makers in the series have taken a jib at celebrity packaging & at Reality TV, & in this movie Propoganda media marketing. Heymitch in his own way rocks the stage with his role & Pultarch have played their parts well..Even Moore as President Coin is impressive..Jennifer Lawrence has played her part well & suited the character perfectly. I did see a few bored out faces in the theatre..Probably the expectations were too high after last movie. Since the movie is part 1 of 2 movie finale the creators had to keep the script for the next part...Hoping that part is as impressive as the first 2 movies. For me i enjoyed the movie as i have enjoyed reading the Suzzane Collins Best Seller Series. I look forward to the second part of the series...The movie is for True Book Fan & over Black Friday weekend this movie will garner good business in Western Markets. 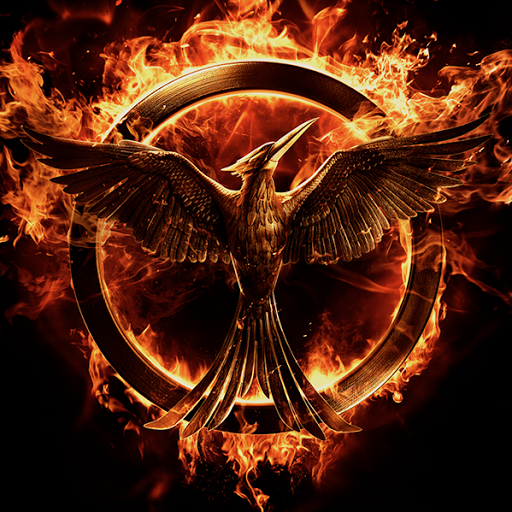 Mockingjay is a symbol of Hope Belief & Revolution...Lets Hope for the best from the Part 2!! 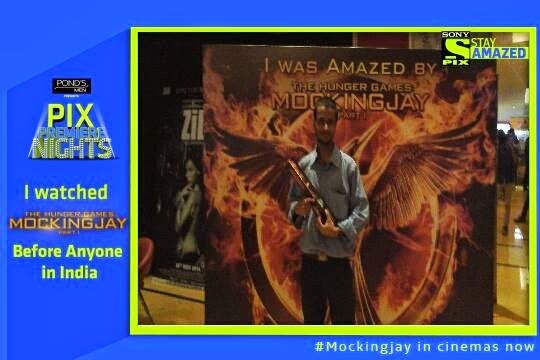 Thanks to Team @SonyPIX for the Super time & Super movie experience like no other!! Congrats for winning their FB Contest & earning this great chance, Nikhil. So far I have had the good fortune of watching only 1 Premiere show with the stars. Haven't read the book series. Looks interesting. Aare wah! Ur experience would have been great! ;) Congraats! Yup with friends it was awesome! !